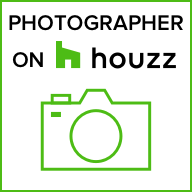 Of course you should use a Professional Real Estate Photographer! This post from iMoto is fantastic and really breaks it down into the most easy to understand graphic I’ve ever seen! You simply can’t go wrong using a professional real estate photographer that knows what they are doing. Make more money on your sales by spending on a small amount in comparison, for great photos. Previous Post Bedrooms and Bathrooms, Oh My!